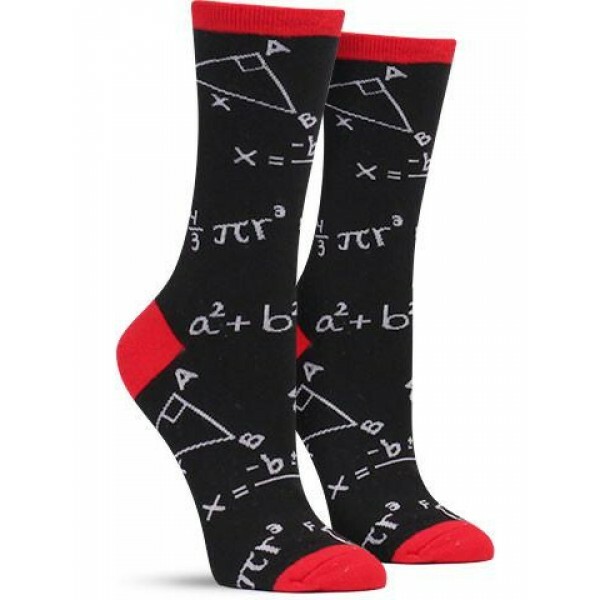 Show off your smarts with these socks that look just like a chalkboard covered in math scribblings! 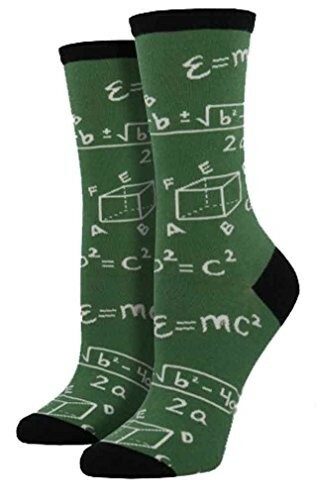 These fun socks from Socksmith are a cotton/nylon/Spandex blend and come in your choice of two colors: black with red trim and green with black trim. 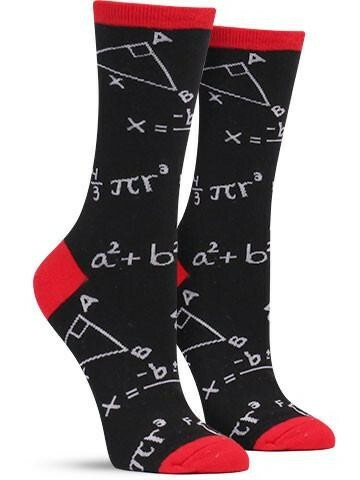 Available in one size, which fits women's shoe sizes 5 - 10.